We are a unique husband and wife dental practice in Turlock devoted to restoring and enhancing the natural beauty of your smile using conservative, state-of-the-art procedures that will result in beautiful, long lasting smiles! We've been creating beautiful smiles in Turlock and the Modesto metro area for more than a decade! An obsession with perfection is rooted in Dr. Christopher Thompson’s childhood. As a kid, he and his brothers repaired and rebuilt bicycles, dirt bikes, and eventually cars when they were old enough to drive. 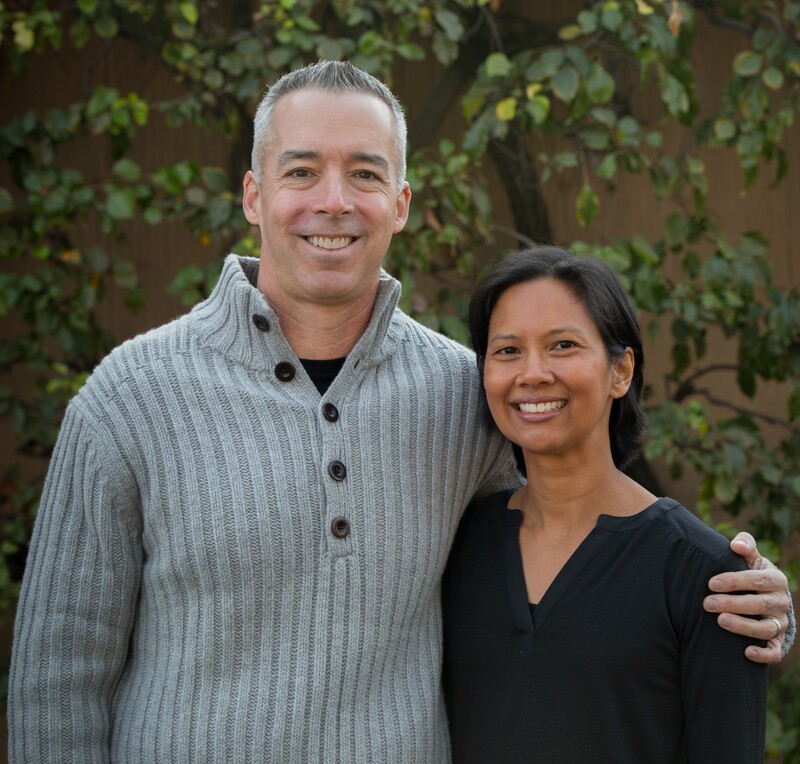 Meticulous precision work captivated him at an early age and that fascination has remained constant throughout his career as a family and cosmetic dentist in Turlock, CA. Whether Christopher Thompson, DDS is restoring a vintage car in his spare time, or completing a patient’s veneers at work, his focus is on getting the work absolutely perfect. Like Dr. Christopher Thompson, Dr. Anne Thompson is a perfectionist. She scrutinizes her own work daily, during and after patient examinations. If something isn’t quite right, she will take the time to correct it because anything less than perfection isn’t acceptable at our family dental center. To us, that is the essence of what cosmetic and family dentistry should be. As your dental health professionals, we want you to be confident knowing that we are a team of highly trained and skilled clinicians. We pride ourselves in providing the care you need to keep your smile healthy. To give you the best possible service and results, we are committed to continual education and learning. We attend dental lectures, meetings, and dental conventions to stay informed of new techniques, the latest products, and the newest equipment that a modern dental office can utilize to provide state-of-the-art dental care. In fact, we complete many hour of continuing education beyond the requirements set forth by the state of California. Also, being members of various professional dental associations helps us to stay abreast of the changes and recommendations for our profession. At our dental practice in Turlock, we practice tooth-conserving dentistry. What this is means is that, wherever possible, we will do everything we can to save and preserve your healthy tooth structure. Often, this means saving you from the kind of unnecessary dental work that so many people are told they need. We aren't here to sell you dental work; we're here to help you achieve the smile you've always wanted.